Moving at the speed of sound? I’m probably one of the few gamers out there that still defend the Sonic the Hedgehog brand to this day, so I was excited to see if both Sega and Nintendo could make this title the next stage for the franchise. 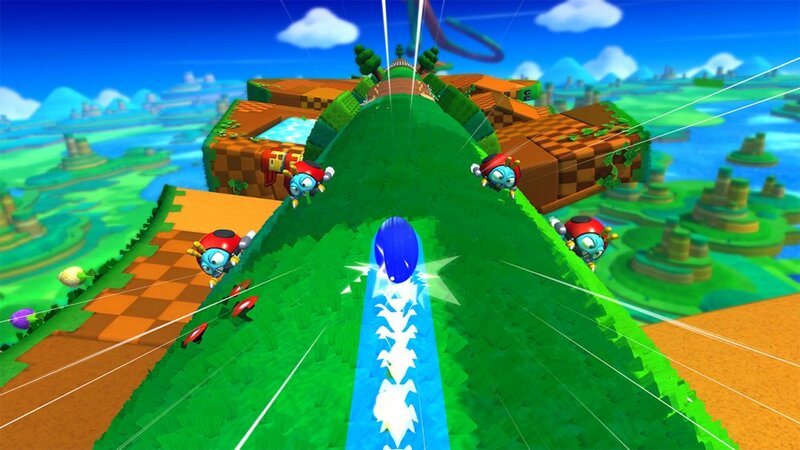 Over the last few months, Sonic Lost World has been compared with the Super Mario Galaxy titles over and over again, in that Sonic travels between various planetoids to reach the end goal. But all I was curious to see was: does the game stay true to Sonic as a character? We all know Sonic has been about speed since his conception into gaming. His games are made to be played with his top speed always being achieved. But after we started to play the game for a bit, we soon realized weren’t receiving the same sort of satisfaction we got from older titles. We both agreed that there is still more polishing needed here before we see it as a clear contender for other Wii U titles. My main problem with the game were the changes to Sonic's movement. Instead of pushing forward with the joystick to speed Sonic up, the R-trigger was the replacement, forcing me to hold down the trigger. Sonic's jumping mechanics and overall control felt very sluggish, and was hard to figure out how to quickly gain speed when I wanted it. Coupled with the how the planetoid environments were designed, I soon felt disoriented as I constantly needed to run him around like I was climbing a spiral staircase. The planetoids also have loads of rotating sections to them, where you’ll more than likely have to shift Sonic around to reach a section needed to advance. This didn’t cause my speed to increase as quickly as I wanted, especially when I needed to change directions on the fly to avoid obstacles. In short: I didn’t feel nearly as fast or agile with Sonic as I had hoped for, which are basically his trademark traits. 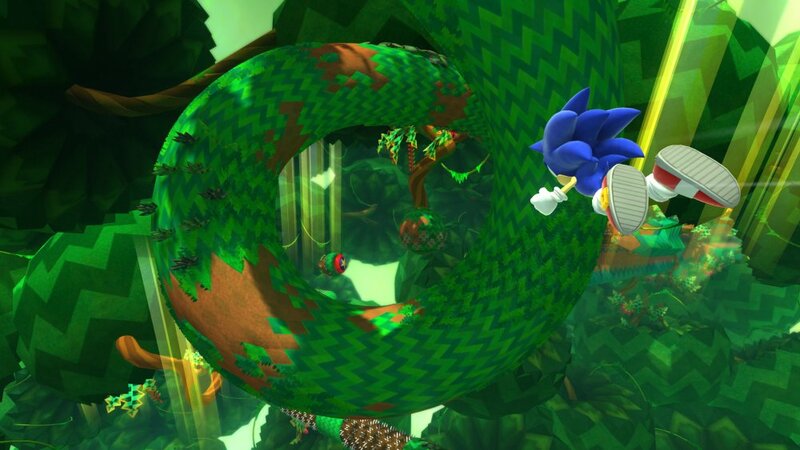 The simple fact that Sonic is fastest when moving in a straight line, not while spiraling around a giant tube to reach the end of the stage, doesn't seem to happen much here. In my personal opinion, the visuals are the main driving force for this game. 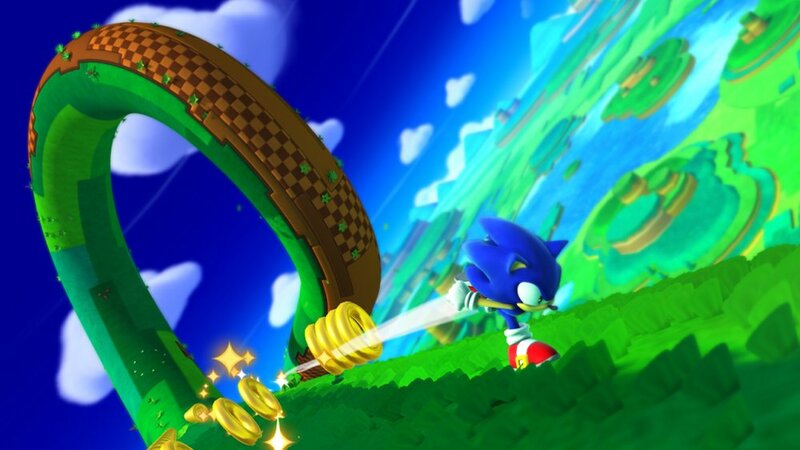 The colors are vibrant and plentiful, mixing the old-school environments (like Green Hill Zone textures) with brand new ones, such as a giant world made of junk food. The stages are absolutely ginormous environments to travel on, with tons of enemies to attack and hazards to avoid in all directions. Also, within each level, there are parts that do switch the camera around to a traditional 2D (think Sonic Generations), that help to plant the history of Sonic in the game. I’m sure many who purchase the game will want to replay certain stages over and over just to experience their sheer artistic beauty. Lost World will be releasing in two versions, one for the Wii U and one for 3DS, little differences between them. Players will be able to transfer their game saves and pick up right where they left off, making this an ideal Nintendo game to have for the go. The co-op elements involve one player using Gamepad, while he assists the other player by providing power-ups and additions to the environment, much like in New Super Mario Bros. U or Rayman Legends. What’s interesting here is that, in the Wii U version, the 2nd player is actually the Wii U GamePad user, while the other plays with a Wiimote or Pro controller; a strange case. Though we didn’t have a chance to test these features, we were assured that they would be included in the game by launch. Sonic Lost World seems to be a fine experiment for the franchise, but we highly doubt it will make a huge dent in Super Mario 3D World’s sales at the end of the day. Granted, the demo we played was the same demo provided months ago at E3, so the gameplay might be tweeked to make up for this. Fans of the series may find it very enjoyable for its high level of exploration and replay value. I can already visualize the many speedrunning attempts for this game as I write this. Page created in 0.7917 seconds.